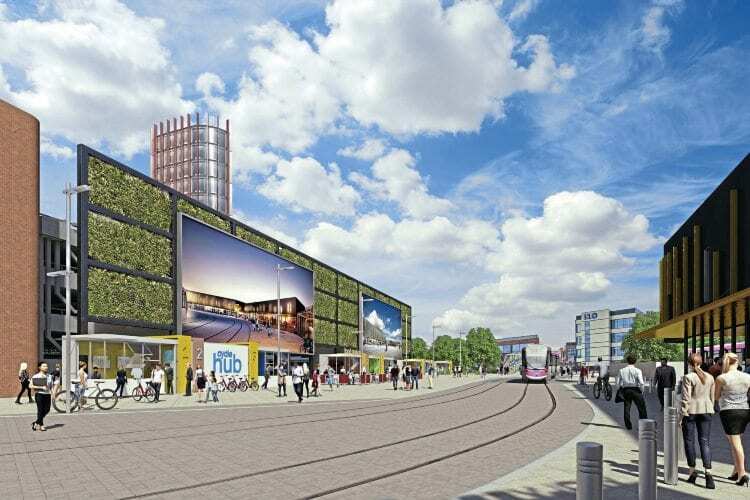 THE Midland Metro Alliance has started work on extending the tram route from Wolverhampton St George’s to the city’s railway station via Pipers Row. This follows the installation of a new triangular junction at St George’s, which was completed in December 2017 after a six-month closure of the stop. Initial work on the £33million extension is concentrated on Pipers Row, which will be closed to road traffic, also for six months. This is to prepare the route for laying the tram tracks, which is set to begin in June. The extension will have two new stops on Pipers Row and at the railway station, reaching the station along Railway Drive. Trams are due to begin running to the new bus and rail interchange in 2020. It is hoped the interchange will bring in more than 1,500 jobs as it includes new office and retail spaces.